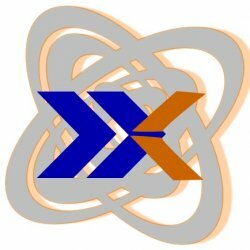 X walk consultants for corporate trainings, software training and industrial trainings holds a prestigious position among best institutes in India. General as well as customized software training courses for it are offered which helps our students to get the best in it training industry. Our quality and values sets us apart from other it training institutes in Delhi, noida and ncr as our course material and techniques are frequently updated in accordance to it jobs placement scenarios. Many students from different it college in Delhi, noida and ncr are assisted by us to proceed their it careers in India as most of the colleges for engineering provide only theoretical knowledge which is not sufficient enough to get an it job for fresher. We offer a proportionate and balanced combination of it training and education to our clients as well as to candidate to maximize the scope of jobs in India in it. After completing a series of successful corporate it trainings in India and numerous industrial training it courses in Delhi, noida and ncr, X walk consultants is listed under twenty top institutes in India. We provide various it computer training courses for seo, oracle dba, adobe, flash, android, iphones, ipads, embedded systems, Ibm mainframe, core java, java J2EE, java J2ME, Java Struts, Java spring and hibernate, qtp, silk, SharePoint , php, linux, C and C seo engine optimization, manual software testing and automation software testing tools at our premises.